According to the Centers for Disease Control and Prevention (CDC), almost one out of three Americans suffer from high blood pressure (hypertension) and over half of those diagnosed with the disease have it under control. An estimated 20 to 30 percent of those with high blood pressure suffer from resistant hypertension, a condition in which it takes multiple medications to control their blood pressure. Resistant hypertension is most common among the elderly and the obese. Resistant hypertension can lead to a number of serious and deadly health events, including heart attack and stroke. There is a growing body of evidence that resistant hypertension is closely connected with obstructive sleep apnea (OSA). In fact, one study (discussed below) has found that close to three out of four people with resistant high blood pressure suffer from OSA. A review article recently published in Chest found that an estimated 30 to 50 percent of people with hypertension also have obstructive sleep apnea. A similar study that appeared in the Journal of the American Medical Association found that those with moderate to severe sleep apnea were more than twice as likely to have high blood pressure than those with no symptoms of sleep apnea. This study followed over 6,000 Americans over 40 and corrected for weight, which is correlated with both OSA and hypertension. A sleep apnea study conducted at the Polytechnic University Hospital in Valencia and published in the Journal of the American Medical Association found that treating sleep apnea for just 12 weeks significantly lowered the blood pressure of those with resistant hypertension (defined as those taking three or more blood pressure medications). Specifically, 36 percent of the 194 participants saw their blood pressure drop by 10 percent while being treated for OSA. Why Is Sleep Apnea Correlated With Hypertension? The relationship between OSA and hypertension is a complex one – and one that is not fully understood by scientists, researchers, and physicians. 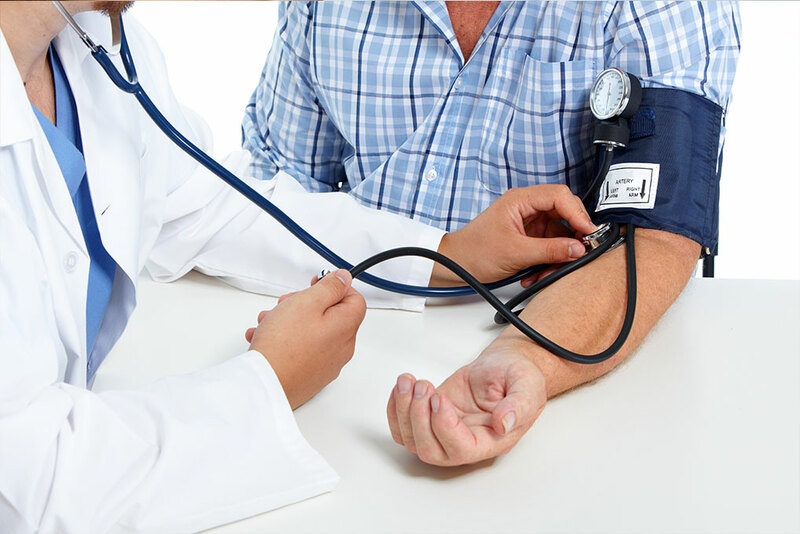 What we do know is that those with hypertension are more likely to have sleep apnea and that those with sleep apnea are more likely to have hypertension. This co-morbidity are likely connected with body mass index and obesity, while another part is likely connected with a patient’s lack of oxygen at night. Those with disordered sleep do not see a natural drop in blood pressure at night like other people – and this issue may lead to chronic hypertension. At Surgical Sleep Solutions, we continue to be amazed at how treating obstructive sleep apnea (OSA) improves our patients’ health on every level. Not only do they get a better night’s sleep, many also see improvements in the weight, heart health, blood pressure, and mental health. If you are interested in learning more about how you can treat your sleep apnea through surgery, please call us today at 855-560-7378 or fill out our short contact form below for more information.